There’s a new Hermès exhibition in town titled Wanderland with whimsical sets or rather scenography by Hubert le Gall and is curated by Bruno Gaudichon. The exhibition, at Saatchi Gallery, celebrates flânerie, the art of urban wandering. Throughout the length of the exhibition you’re invited to become a flâneur and to follow the map that guides its audience through a series of elaborate rooms and atmospheres. 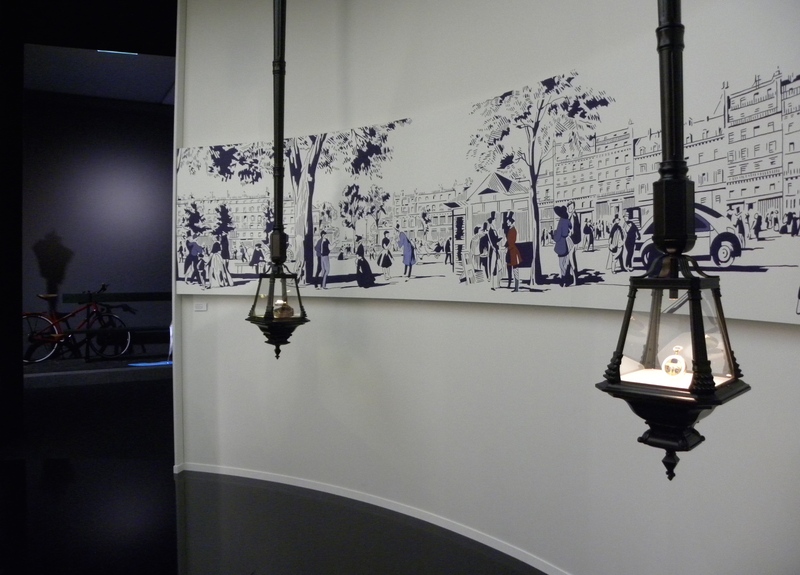 The Hermès 2015 theme Flâneur Forever, aims to encourage the quintessentially Parisian practice of flânerie, which is central to the Hermès stores, displays and objects claims artistic director Pierre-Alexis Dumas. The exhibition felt uncharacteristically unlike what I’ve come to expect from the previous Hermès exhibitions and the brand as a whole. It felt like entering the fantasy world of Alice in Wonderland or a Disneyland amusement park but without the rides. 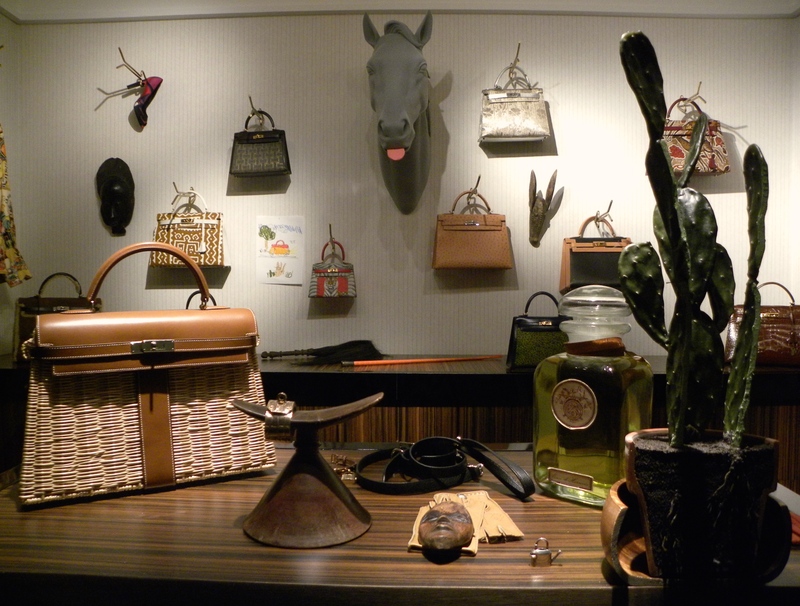 Certain sections such as the street artist (graffiti room), with what looked like work inspired by pop artist Roy Lichtenstein appeared entirely out of place from the tradition of refined elegance that has made Hermès products so desirable. 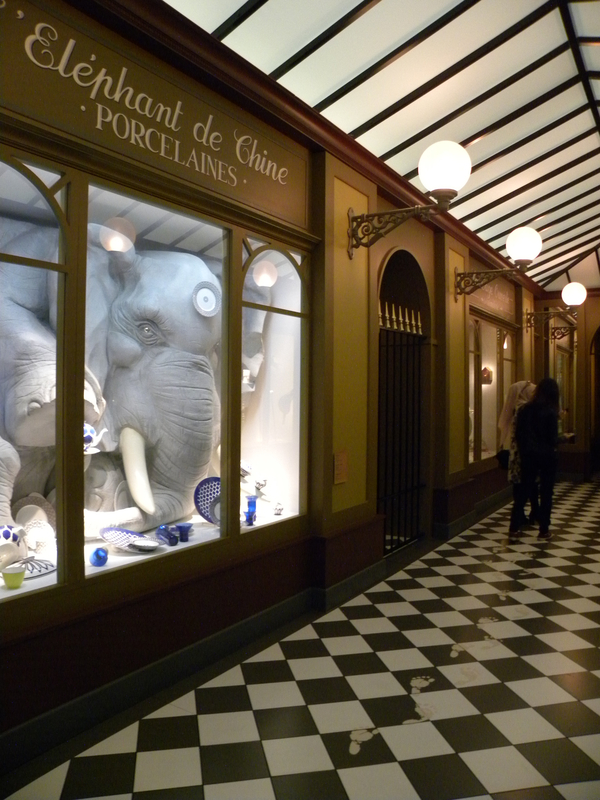 My favorite section of the exhibition was the passage that mimicked a traditional shopping arcade and showed an elephant in a china shop, a pet shop run riot, an antiquaire à l’Hermès. 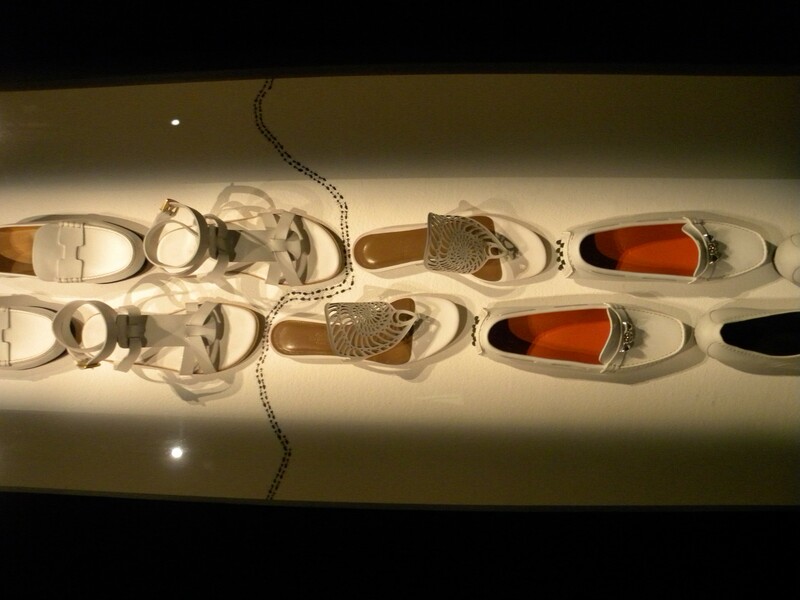 Exhibition on until the 2nd of May at Saatchi Gallery – Duke of York’s HQ, King’s Road, London, SW3 4RY. 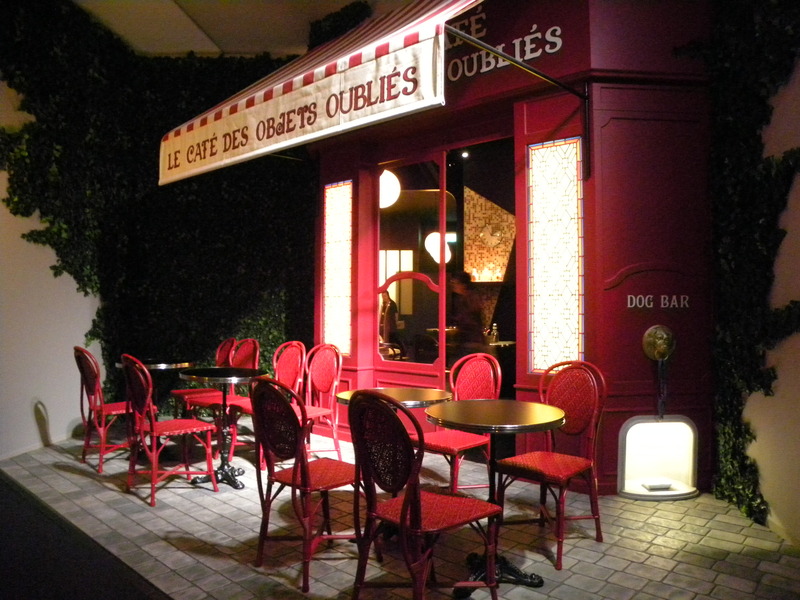 Daily 10am – 6pm. Free entry.